The People’s Democratic Party (PDP) has charged the Chairman of the Independent National Electoral Commission (INEC), Prof. Mahmood Yakubu to direct the immediate announcement of the already collated results of the February 23, 2019 Imo North Senatorial election, as well as March 9 rerun poll, in which the PDP candidate, Hon. Ndubueze Patrick, is said to be in clear lead. The party cautions that the continuous delay in announcing the final result, after returns have been established at the polling units, wards and local government levels is already heightening tension in the state. A statement Friday by the spokesman for the PDP, Kola Ologbondiyan, said its public knowledge that the results have been moved to INEC headquarters in Abuja following the alleged harassment of INEC officials in Imo state by agents of the All Progressives Congress (APC) and Action Alliance (AA). The statement said, “From the collated results in the February 23 elections, the PDP won in all the local governments in Imo North before polls in two local governments; Isiala Mbano and Ehime Mbano were cancelled and scheduled for rerun. “Already, from the results declared, the PDP led in Okigwe, Onuimo, Obowo and Ihite/Uboma Local Government Areas with 21, 254, ahead of APC and AA, which scored 12,756 and 12,236 respectively. “At the March 9 rerun elections, when the AA and the APC realized that the PDP was winning, they resorted to mutilation and alteration of results, particularly with the collaboration of collation officers in Ehime Mbano, before the intervention of the state Resident Electoral Commissioner (REC), who called for proper scrutiny of documents following protests by the people. “The PDP believes that the INEC had completed its investigation on the documents and results of the rerun election, which established our victory in that election. 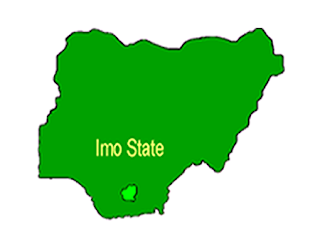 “The party therefore urges Prof. Yakubu to douse the tension in Imo state by directing the declaration of the final results and return our candidate, Ndubueze Patrick, who has been legitimately elected by the people of Imo North to represent them at the Senate”.